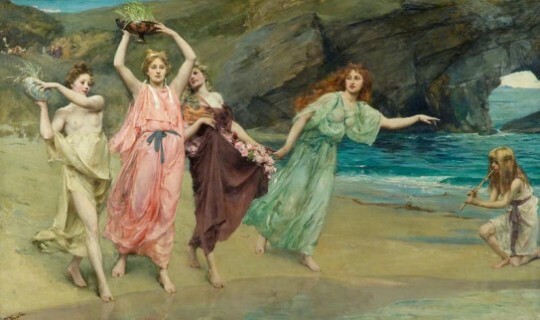 Dr Kate McLardy will present a lecture about the women’s festivals in the Hellenistic Period, on Thursday 14 June, at the Greek Centre, as part of the Greek History and Culture Seminars, offered by the Greek Community of Melbourne. Her work re-examines the evidence relating to two ancient Greek festivals: the Thesmophoria in honour of the goddess Demeter Thesmophoros and the Adonia in honour of Adonis, the short-lived consort of Aphrodite. Past research has been largely preoccupied with reconstructing a general pattern for the festival; contrary to this, I argue that the festivals must be viewed in their local contexts which allows us to observe considerable variation to their structure and meaning(s). Through the application of a post-structuralist methodology, selectively enhanced with phenomenological premises, she considers both the evolution of these festivals over time and place and, crucially, the impact that these festivals would have had on the women who celebrated them. To this direction, she utilises not only the surviving literary evidence regarding these festivals but, also, epigraphic, archaeological, and iconographic evidence where possible. This allows for an additional focus on small details that indicate potential local variation as opposed to merging all of the evidence into a generalised reconstruction. She contends that it is important to recognise that rituals such as these were multifaceted and cannot be fully explained under a single paradigm; instead, an interdisciplinary approach is required in order to reconstruct and interpret these festivals in a manner which brings us closer to how they really worked within their actual historical contexts. From this perspective, her work adds to the ongoing scholarly discussion on the most appropriate theoretical framework by which to examine ancient women’s rituals. In addition, the theoretical model she has developed emphasises the experience of the ancient participants. Through focusing on the functions that festivals such as the Thesmophoria and the Adonia had in their lives, she hopes to shed more light on their importance and enduring popularity amongst ancient Greek women. Important components of her model are a focus on communitas, performativity and phenomenological viewpoints in order to produce a more accurate and well-rounded reconstruction of these festivals. It is essential to note that this model is not designed to shape the ancient evidence into a consistent account that satisfies the modern reader, but to highlight the many, sometimes contradictory, aspects of these festivals in a more realistic manner. Dr. Kate McLardy recently completed her PhD at Monash University in Melbourne. Although She is a Classicist, her MA was in Ancient History and she did honours in Egyptology as well as Classics. This sparked her interest in interdisciplinary methods of examining the Classical evidence. Her research focuses on two women’s festivals called the Thesmophoria and the Adonia. She is particularly interested in refining the reconstructions of these festivals and in considering the role of local variation, both in contextualising the festivals and how this impacts on our ability to reconstruct such festivals. Her research draws from a number of different disciplines in order to shed new light on these festivals by considering them from different perspectives.